Years of laughing, squinting, and furrowing your brow can lead to lines that make you look older than you feel. Jason T. Arrington, MD, of Atlantic Plastic Surgery, is a board-certified plastic surgeon who expertly administers Botox® to diminish the outward signs of aging. With locations in Salisbury and Ocean City, Maryland, and a caring, knowledgeable team, it’s easy to get the best cosmetic services in the area. Call or schedule an appointment at either location using the online booking tool. Botox temporarily improves the appearance of moderate to severe frown lines, crow’s feet, and forehead lines. It’s an FDA-approved injectable medication that contains a highly-purified form of botulinum toxin protein. When injected into specific areas of your face, Botox relaxes the muscles that normally cause wrinkles. When the muscles under the skin relax, it allows the skin to smooth out, and creases ease or disappear. Yes. Botox has been extensively evaluated in hundreds of clinical trials, scientific articles, and journals. It’s used for cosmetic purposes in more than 70 countries worldwide. 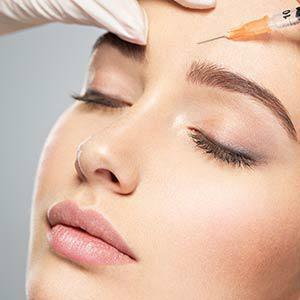 What can I expect during and after a Botox treatment? Botox injections are typically well-tolerated and the procedure only takes about 10 minutes. You may feel a slight pinch when Dr. Arrington or one of his team injects the Botox into your skin. To minimize any discomfort, you may request a topical numbing cream before your injections. The idea with Botox is that you look like yourself, only more youthful. After a treatment, you’ll notice fewer visible frown lines and wrinkles around your eyes and forehead. Your skin may appear red right afterwards, but it usually subsides in a few hours. You can go back to work or resume your daily activities that same day, making Botox not only effective, but also convenient. For most adults, side effects with Botox are minimal and temporary, if there are any at all. You may experience slight discomfort in the area where you received the injections, or you may have a temporary headache following your appointment, but this usually goes away and is nothing to worry about. Dr. Arrington does not advise getting Botox injections if you have a known allergy to any of the ingredients, and he discusses this with you before your procedure to be sure. If you’re not a candidate for Botox injections, Dr. Arrington and the aesthetic team offer other types of injectables and fillers that minimize wrinkles and give you a more youthful appearance. They work with you to find the best options for the results you desire. Call or schedule a consultation using the online booking tool to learn more.